Don’t be fooled by the small and not so glamorous reception desk. 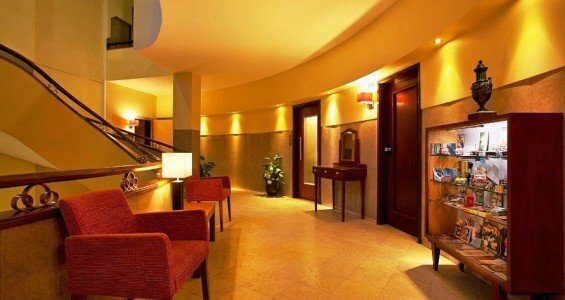 Once you go up the stairs (do take the stairs, instead of the elevator, to get a good feel of the building and vintage objects that decorate the floor lobbies), you will understand that Pão de Açucar Hotel it’s a totally different thing that you are used to. On a good sense! The hotel its settled on the 3rd to 6th floors of a remarkable vintage office building, very well renovated and maintained and with a very nice view over the City Hall tower. In fact, in the first two floors there are still a few lawyer, doctor or trade companies’ working offices. The location is as perfect as it can get. Rua do Almada is a street with never ending attractions, from the bizarre ones to the lovely shelters of great cafes of Porto. Just by Avenida dos Aliados, everything is on your way, even public transportation if you plan to go around the city. Aliados, Torre dos Clérigos, Ribeira and Rua de Santa Catarina are some of the spots that just a few steps away. 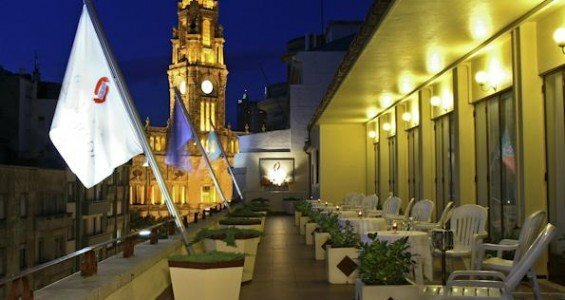 Restaurants, bars and the famous Porto’s nightlife are also at your doorsteps and the greatness of Pão de Açucar Hotel is the quietness inside: being at the heart of the city, there’s a lot going on outside, but the noise won’t bother your sleep time. Is pretty easy to arrive and the hotel is easy to find. 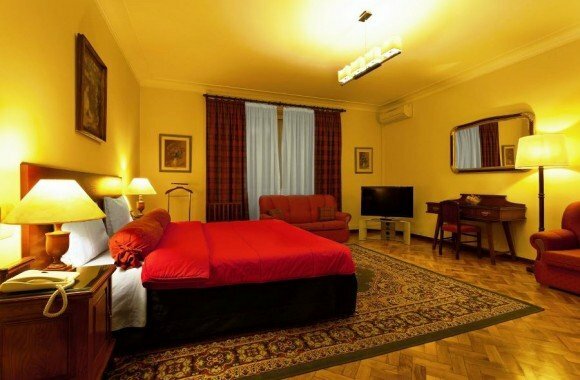 They offer about 50 rooms, on a big range of configurations. From the individual to the king size suite, the terrace ones or the familiar suite, there’s a lot of solutions according to your needs. The relation price-quality is pretty good and, if you are lucky and anticipated, you can get some very good deals. The rooms are big and spacious, with all commodities you would expect in a good hotel, such as air-condition, heating, mini-bar, big LCD television, free Wi-Fi internet and nice private bathroom with some very fine amenities. The modern way was left at the door and the formal lines and imperial decoration will let your fancy side skin deep. The colors, from the dark green, to the light yellow or the red, are outlined on the linen and some decoration, while the big curtains are the final adorn to complete this royal picture. The 24 hour reception makes it easier to get in and out and every detail you want to know can be asked in the reception. The staff is helpful and there’s free information and flyers at the reception desk to help you with your tour. If you traveling with your own or rental car, the hotel guest get a special rate on the garage parking just a few meters down. Do ask at the reception for your voucher.